Both swimsuits above are Cozi by Jennifer Hawkins - I think these are both cute options and definitely affordable at approx $90 each. These two options are from Modcloth and what I like about these is the thicker straps, full back and the extra material over the tummy. Their both approx $90 + $25 postage but I am concerned if they don't fit/don't suit I will have wasted my money. Has anyone seem anything similar to these in Australia? Or alternatively if you have bought swimmers from Modcloth how true to size are they? love the red polkadot one! you know a good place to look, etsy (is there anything etsy doesnt do) there are some great swimmers at reasonable prices and at least you can ask the designers about the fit! the modcloth ones look a lot more flaterring. I say go for it, if it doesn't fit I'm sure you can return it! the pink polka dot one is cute! hi darling! honestly you know i love the pink with white polka dots but with your coloring i think the soft pastel stripes. so sweet. i think the navy with white polka dots are great too. i love how you are going to increase the price range since "mum" is footing the bill! hah! I like the look of those modcloth ones - very retro. My only advice would be to thoroughly scrutinise their size guides, but I'm assuming you probably would have already done that. 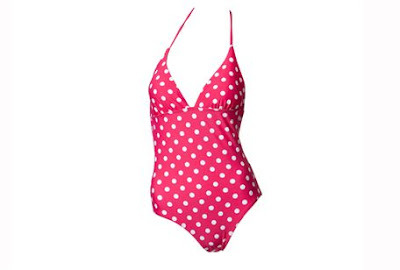 The pink polkadot one is very cute, too. Also, thanks for the London tips! I really love your choices. I haven't tried Jennifer Hawkins Cozi range yet but it looks cool. I haven't seen ones similar to the modcloth ones yet but I'm sure might find something similar. Love, love, love the Modcloth ones! Feels rather strange commenting on swimsuits as here we feel like we are rapidly heading for Winter! I do like those two Modcloth ones and totally agree with you over the thicker straps. i like that you call them swimmers. here people say bathing suits or swimming costumes and both sound kinda funny when you think about it! it's so funny to think of you buying a swimsuit while i just bought boots in preparation for the coming cold! Pretty swimsuits! I really like the ones from Modcloth, especially the first one! It's refreshing to hear you speak about summer approaching! So glad you told me to keep going with Dragon Tattoo because I've really been struggling. Sometimes it's so hard for me to keep going when the beginnings are hard to get through, but then I remember how much I loved Memoirs of a Geisha, which was SO hard for the first 60 pages or so. I love thinking of you preparing for summer while it's getting chilier every day here in Texas! :) Those swim suits are all so adorable! I love the last one best - Navy is one of my favourite colours! Oo, gorgeous picks! 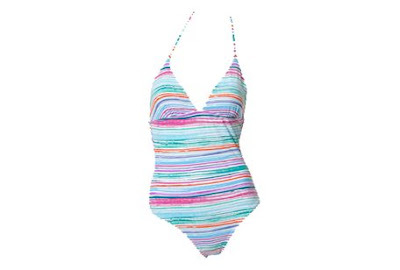 I've been eyeing off bathers on modcloth too - wish I could help you. I have a black cozi one piece that I love! That stripey one would look great! Those togs (bathers/swimmers) are ridiculously cute! The blue polka dots is the cutest. Details which might be driven out of this article is quite valuable, and undoubtedly intriguing to read. The posting is a unique and interesting. This is a good site.